According to The Economist, this is the first time that three cities claim the title of the world's most expensive city – Singapore, Hong Kong and Paris. 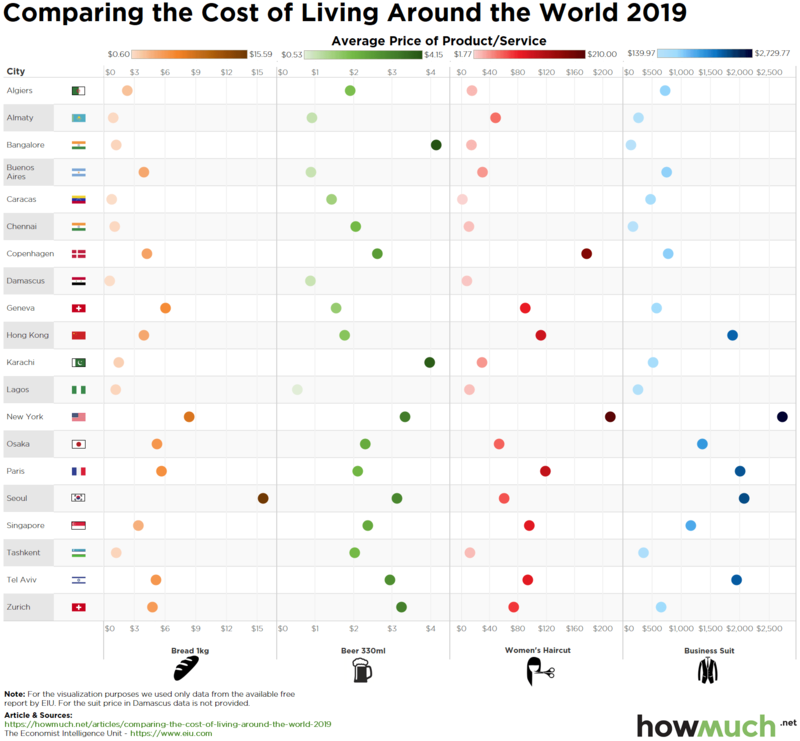 The cities with the highest costs of living tend to be located in Western Europe or East Asia, while the cities with the lowest cost of living are in South Asia, Central Asia, and South America. For the most part, the more expensive cities by cost of living had higher prices across all four products/services. For example, among the cities in the visualization, bread was the most expensive in Seoul ($15.59) and least expensive in Damascus ($0.60). The exception to this general trend is beer, which is most expensive in Bangalore ($4.15). New York was the most expensive city for a 2-piece suit ($2,729.77) and a woman’s haircut ($210.00).